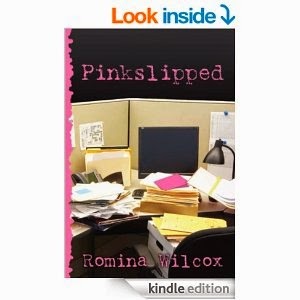 Romina Wilcox's "Pinkslipped" is a novel about an idyllic family in Silicon Valley, California, headed by Jennifer and Ed Tesler, and the challenges that the Great Recession forces them to face. Although the story is fictional, the experiences the author writes about are drawn from real experience. Prior to the recession, Jennifer is the breadwinner of her family due to her work ethic and loyalty to Tri-Tech as a Senior Business Analyst. In concert with her husband's career as a master chef, they are able to afford items of lavish taste for themselves and their three children, Emma, Emily, and baby Caleb. But when Jennifer receives the unimaginable pink slip from Tri-Tech after 15 years of work, her family's stability and her own self-worth suffer a tremendous blow. Even with companies turning down Jennifer left and right for candidates with H-1B visas, she holds on to the hope that her family can still achieve the American Dream if she remains persistent and resilient. The highlights of "Pinkslipped" are the candor, humor, and organization of the writing. Particularly, Wilcox's humor lightens up the realities Jennifer faces and shows the change in her perspective, feeling more appreciative of the numerous blessings she has even in the absence of a job. Her descriptions of the characters and their thought processes are very interesting as well. If you want to read a well-told story about a well-off family affected by the recession, "Pinkslipped" is a must-read because the writing makes the effects of the Great Recession on families come to life and demonstrates people's capabilities to adapt, hope, and persevere amidst challenge after challenge.